On the other side of the Pacific in an unusually expansive move, Cooley has today (12 March) confirmed it will open in Hong Kong after hiring Skadden Arps Slate Meagher & Flom’s corporate partner Will Cai. 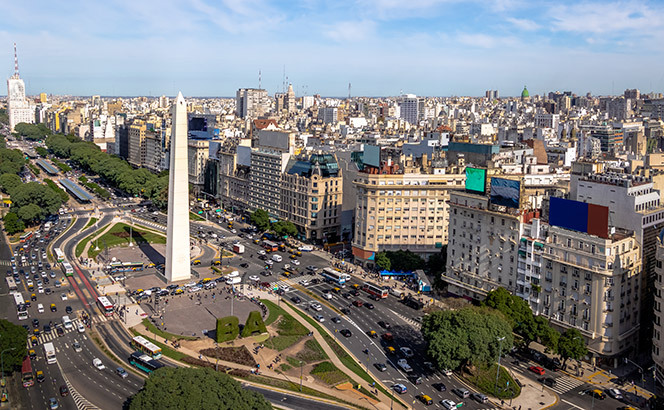 Bakers’ new Buenos Aires global services centre will open in 2020 as an independent entity and employ 200 people led by director Gabriel Pardo. Next year the firm will also open its North American low-cost hub in Tampa, Florida, which will host 300 roles. The firm announced the North American centre within weeks of putting all of its London professional and business services (PBS) staff under consultation as it kicked off a three-year global reorganisation of its services delivery. Increasing profitability is a long-stated aim of the firm, which has an unofficial goal to bring profit per equity partner (PEP) to $2m. It made significant headway in that direction last year, as partner profits rose 13% to $1.44m amid 8% revenue growth to $2.9bn. The centres in Tampa and Buenos Aires follow the opening of a service hub in Manila in 2000 and in Belfast in 2015. Meanwhile, Cooley’ Hong Kong office will be the firm’s third in Asia and 15th worldwide, with the launch announced a few weeks after it opened a second European base in Brussels. 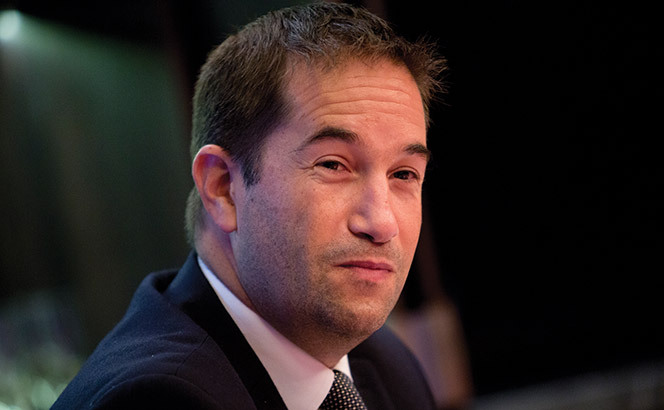 ‘We have been talking about expanding in Asia for a while,’ Cooley’s London managing partner Justin Stock told Legal Business, pointing to the firm’s launches in Beijing last year and Shanghai in 2011. The firm will also be looking at venture funds and investment funds, and Stock said he expected it to add several partners and lawyers quite quickly, although it will remain below the 50-lawyer mark in the short term. Starting the year with two international office launches in as many months is highly unusual for Cooley, whose partnership has traditionally been conservative when it comes to expanding out of the US. But its recent financial performance confirms it is a good time to invest. The firm’s revenue rose 14% to $1.23bn in 2018, while PEP grew 14% to $2.4m. For the second year in a row, the City office outpaced the Palo Alto-bred firm’s global revenue growth, as the latter rose 14% from $1.07bn to $1.23bn. Global profit per equity partner also grew 14% to $2.4m, while revenue per lawyer was up 8% to $1.3m. Lawyer headcount of the London office rose 19% to 95, up from 80 at the end of 2017. It counted 29 partners at the end of last year. The firm added three partners laterally in 2018, hiring IP specialist Charlie Winckworth from Hogan Lovells in January, adding David Wilson from Davis Polk & Wardwell to its tax team in May, and Michal Berkner from Skadden Arps Slate Meagher & Flom to its M&A practice in February. The London office also saw the first three partner promotions in its history, effective at the start of 2019. The firm started the New Year with another office launch, opening its first continental European base in Brussels . Cooley continues to look at Germany as the next step in its European expansion, but Stock said it was unlikely to open there this year. Two other expansive US firms announced strong revenue growth in their City outposts this week. White & Case’s City revenue was up 7% to $350m, while Milbank Tweed Hadley & McCloy posted a substantive 25% revenue hike for its City branch to $156m. The firm announced today (4 February) it has hired experienced competition partner Alexander Israel from leading German independent Noerr to lead the opening of its fourteenth branch worldwide. ‘Expanding Cooley’s presence in the European Union has long been a key component of our growth strategy,’ said chief executive Joe Conroy, adding that opening in the Belgian capital would strengthen the firm’s ability to support clients ‘particularly with the uncertainty of the Brexit environment’. Eversheds Sutherland has landed a major role on the administration of Formula 1 team Force India as Cooley advises a UK IT company on its $126.8m IPO and Herbert Smith Freehills (HSF) acts on a $388m Philippines agribusiness deal. 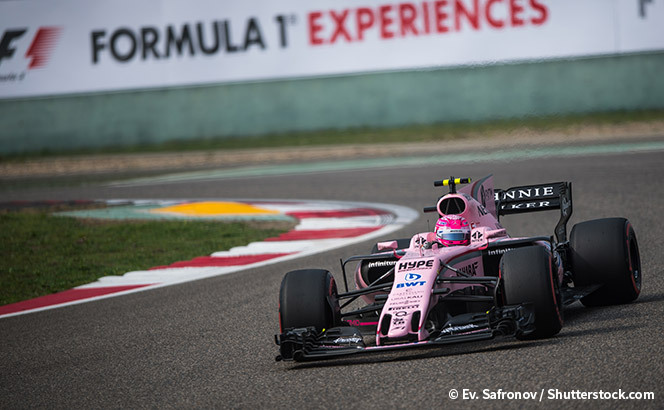 Finance partner Jamie Leader led Eversheds as it represented Brockstone Limited, the services company linked to Force India driver Sergio Pérez, on a High Court administration application intended to safeguard the jobs of 400 employees. With the application approved, Eversheds will now advise administrators Geoff Rowley and Jason Baker of FRP Advisory on the management of Force India. Force India’s financial crisis comes as its team principal, Indian businessman Vijay Mallya, fights a worldwide freezing order and is also attempting to ward off an effort by India to extradite him from Britain to answer fraud charges. According to Leader, it was a challenging mandate for the Eversheds team due to the timescale; the administration application was made on 20 July with the hearing taking place a week later on 27 July. The hearing was also subject to a last-ditch intervention from soft drink company Rich Energy, which had a £30m cash injection rejected by the court. Elsewhere, Cooley has represented UK IT company Endava on its IPO on the New York Stock Exchange. The listing saw Endava issue 6.3 million shares at $20 each, giving the flotation an overall value of $126.8m. A transatlantic team including Boston partner Nicole Brookshire, Reston, Virginia-based partner Richard Segal and London partner Ed Lukins picked up the instruction. Davis Polk & Wardwell also landed a role on the listing, advising bookrunners Morgan Stanley, Citigroup, Credit Suisse and Deutsche Bank. Finally, HSF has exercised its foreign law alliance with Singapore firm Prolegis to advise on a $338m deal financing. The firm acted for a bank syndicate as it financed Philippines company AEV International’s buyout of Gold Coin Management Holdings, one of Asia’s predominant agribusiness companies. The syndicate consisted of DBS Bank, Mizuho Bank, MUFG Bank and Standard Chartered. HSF partner and head of Asia finance Adrian Cheng led for the firm, alongside a team of associates. 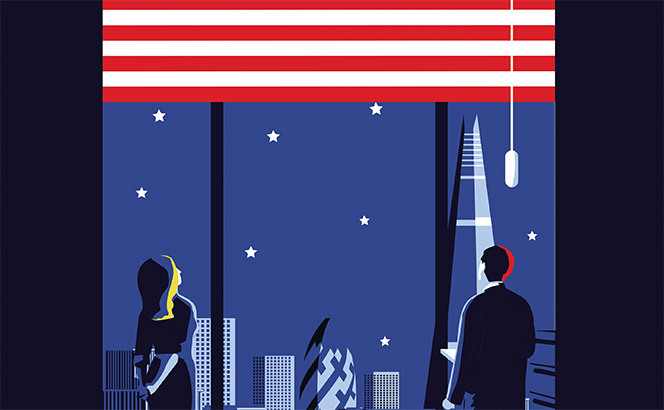 City laterals stayed quiet last week continuing a recent hiatus while the US was the centre of attention internationally with DLA Piper, Baker Botts and Cooley all making hires across the Atlantic. 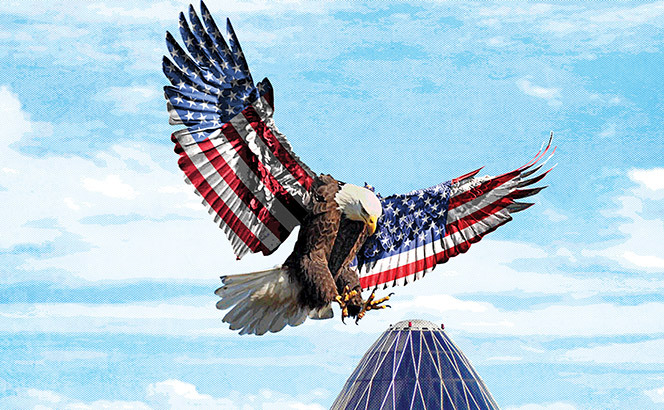 US laterals defined last week’s international recruitment round, with Baker Botts leading the way with a strategic hire from American powerhouse Kirkland & Ellis. 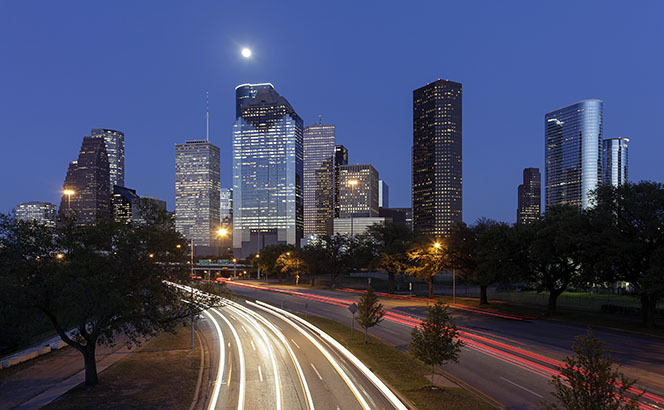 Capital markets partner Justin Hoffman joined the firm in its Houston office, after spending two years as a partner at Kirkland. Hoffman’s practice focuses on debt and equity capital market transactions, as well as corporate governance and compliance. Speaking to Legal Business, Hoffman explained the rationale for his move. Moving to the West Coast, in Los Angeles Cooley further expanded its global tax practice with the hire of Alexander Lee from McDermott Will & Emery. Lee had previously spearheaded McDermott’s tax practice as a partner and focuses his practice on national and global transactional tax matters as well as private mergers and acquisitions. Rounding off the US moves, DLA also made a play in Los Angeles, announcing the hire of Levi Heath from Barnes & Thornburg where he had worked since 2011. As a partner at Barnes, Heath focused on civil and commercial litigation, including toxic tort and product liability defence. Heath will now boost the litigation capabilities of DLA on the West Coast where the firm has made a series of hires after completing a merger with Los Angeles-based boutique Liner last October. Dentons meanwhile added to its Scottish bench with a hire in Glasgow, as Roddy Harrison joins the firm’s private client and charities team in the UK tax department. Harrison arrives at Dentons from BTO Solicitors where he headed the private client practice and was a partner for over 15 years. He has experience advising private clients and high net worth individuals on personal and business matters, including capital taxes planning and estate planning. Representative work: Advised SoftBank on virtual reality company Improbable’s $502m fundraising; advised Apollo Global Management and The Vistria Group on $1.1bn acquisition of Apollo Education Group; advised Tata Steel and Bambino on a series of litigation matters. White & Case’s City office posted revenue of $328m for 2017, a 13% increase on last year’s $290m figure, while Cooley has reached $57.5m in its third year in London. Globally, Sidley Austin has also posted significant revenue and profit growth for 2017. 2017 global revenues for White & Case also saw a substantial boost, standing at $1.8bn, a 10% increase from $1.63bn last year. Profits per equity partner also leapt 10.2% to $2.26m, a 10% rise on $2.05m last year. The number of total equity partners grew by 7% to 319 from 299 the previous year. ‘The results point to the increasing attractiveness of the firm to clients who want to place significant transactions and matters with White & Case’, Brettle added. 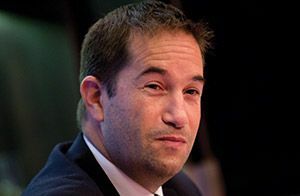 Brettle said that among the London office’s standout matters was the £1bn Alfa Financial Software IPO from May 2017, the $10bn refinancing of Wind Tre in November and the $2.73bn Nacala Corridor project in Africa, which was led out of London. In January last year, White & Case also advised Harbour Energy, the energy investment vehicle managed by EIG Global Energy Partners, on a deal to lead the $3bn acquisition by Chrysaor of a portfolio of oil and gas assets in the North Sea from Shell UK. Meanwhile 2017 saw three high-profile London hires for the firm in the form of Clifford Chance’s M&A partner Patrick Sarch, capital markets partner Chris McGarry from Ropes & Gray and antitrust partner Marc Israel from Mcafarlanes. The lateral hiring spree in the City has continued in 2018, including disputes partner Hannah Field-Lowes, who joined on 1 February from Weil, Gotshal & Manges where she was co-head of international dispute resolution. Daniel Turgel joined the firm’s global M&A practice in January from Linklaters and corporate partner Dominic Ross is due shortly to join from Ashurst. Meanwhile, Cooley’s London outpost recorded an eye-catching 22% revenue growth to $57.5m in its third year of life as the firm’s global turnover passed the $1bn mark. The Palo Alto-bred firm saw profits per equity partner jump 6% to $2.08m in 2017, while global revenue grew 10% to $1.07bn from $974m and revenue per lawyer hit $1.2m. Its London outpost grew revenue by almost a quarter on last year’s $47m despite a relatively quiet 2017 on the lateral market, with the firm adding only one London partner. ‘It was a very busy year, we had some very nice matters both in the transactional and litigation space that kept the office really busy, particularly in the second half of the year,’ London managing partner Justin Stock told Legal Business. The firm’s capital markets practice was particularly active and the firm claims it did more than 50% of UK companies’ listings on Nasdaq in 2017. The firm’s UK and US teams worked together on the $1.1bn acquisition of Apollo Education Group by investors including The Vistria Group, which closed in February last year. Stock said its office had also made a contribution on the Snapchat IPO . The firm’s only European base, Cooley made a dramatic entrance in London in 2015 with a team of 55 lawyers including 20 partners from Edwards Wildman and Morrison & Foerster. It has since grown its City headcount to 28 partners and 52 other lawyers through a number of headline hires from global rivals. Stock said he aimed at bringing the headcount to over 100 lawyers in 2018 and to 150 in the next three years. Cooley recently recruited cross-border deals specialist Michal Berkner from Skadden, Arps, Slate, Meagher & Flom and Hogan Lovells head of international products Rod Freeman. It previously recruited Mayer Brown senior finance partner John Clark and prominent Sullivan & Cromwell litigator Louise Delahunty . Elsewhere, Sidley Austin has grown both global revenue and PEP for the seventh consecutive year. Global fee income at the US giant rose to $2.04bn, a 6% increase on last year’s $1.93bn. PEP was up 6% to $2.26m and headcount rose 2% to 1,873 lawyers in a year marked by headline deals such as the recruitment of seven partners from Kirkland & Ellis in Munich last February. Snap Inc general counsel (GC) Chris Handman has stepped down from his position to spend more time with his family, after three years at the US company. California-headquarted parent company Snap Inc owns social media camera application Snapchat, which allows users send instant image messages, and was co-founded by chief executive Evan Spiegel in 2011. Handman joined Snap Inc as GC in May 2014, after 14 years as a litigation partner at Hogan Lovells’ Supreme Court and Appellate Litigation group in its Washington DC office. Despite standing down from the GC role, Handman will remain working at the company as an adviser. Snap Inc’s deputy GC and chief compliance officer Dominic Perella will serve as the company’s GC on an interim basis until a permanent replacement is found. Perella has been deputy GC since March 2015, and before then he also worked in Hogan Lovells’ US litigation department for eight years. Handman oversaw the company’s March 2017 initial public offering (IPO) on the New York Stock Exchange. The float valued the company, at $28bn. 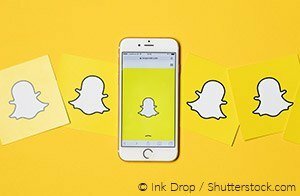 US firm Cooley advised Snap Inc on the IPO, led by corporate and securities partner Eric Jensen. Snap Inc’s San Francisco in-house team was led by Handman and associate general counsel Atul Porwal. IPO documents revealed that Handman’s base salary for 2016 was $475,000. Two years after Cooley‘s launch in the City with a dramatic flurry of hires, the office has hit turnover of $47m and grown rapidly. Matthew Field talks to Cooley London managing partner Justin Stock about the firm’s next move. You’re two years in to London, how has the performance been? It’s been great and the numbers are even a little higher than we had budgeted for. The first two years have been a lot about getting the pieces in place and bedding down the team. We had to spend time integrating and getting everyone to know each other. What’s the future for Cooley London? Year three will bring further growth with a focus on corporate. This is going to be about powering our core strengths across tech and life sciences, and handling complex litigation. We are at 80 lawyers and are absolutely not finished growing. How did you come to join from Morrison & Foerster? When David Bresnick and I originally went to chat to Cooley, it was a bit of a reconnaissance mission. We all work in the technology space and had heard a rumour Cooley was coming. We wanted to find out more. What drew me to the firm was the opportunity to be part of an exciting vision with a firm that has the guts to do something material. They weren’t going to dip their toe in London, they were going to make a significant commitment. Joe Conroy, Cooley’s chief executive officer, was a big part of my decision. I liked his approach and his vision and determination to make it work. 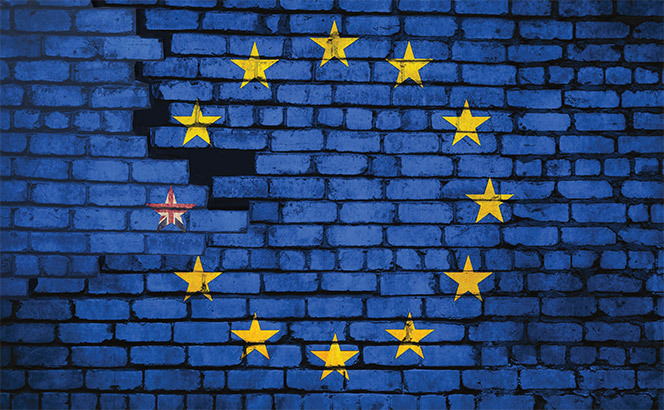 What have been the key matters for London? Working with Deliveroo on its $275m financing from General Catalyst was a great transaction; Microsoft’s deal for Swiftkey was another super deal; and both were in our core space. I also helped advise Apollo Global Management in relation to the $1.1bn float of Athene on the New York Stock Exchange. What was your background before joining Cooley? I practiced at a firm in Johannesburg called Werksmans, making partner there in 2000. I was married in 2001 and moved here with my wife six months later. Before then we had never discussed leaving South Africa. I joined Freshfields Bruckhaus Deringer. O’Melveny & Myers were doing very well in the private equity space in the US and were building up a PE-focused practice, which presented an opportunity for me in London. After they had a significant team move in New York, I was concerned that London growth would be put on the back burner. I was ambitious and did not want to wait, so moved to MoFo, which was building up their team in London. Perhaps that growth-and-build vision is a bit of a theme for me. What is the secret to success for Cooley? We want to be in the top firms in London; one of the elite UK firms. We have achieved that in America. What I want to replicate here is something I’ve seen but we’re still working on it. Many of our clients in the States genuinely love the firm and value the lawyers, that’s what we want to achieve here, to be seen as a true business partner of our clients. If they see you like that you have them for life. Palo Alto trailblazer Cooley is the holder of shares worth more than $11.5m following the float of Snap on the New York Stock Exchange yesterday. Initial public offering (IPO) documents stated the firm’s partners and associates own, through the firm’s investment vehicle GC&H Investments, 239,800 shares of Class A stock in the tech company and 239,800 Class B stock. After Snap’s float gave a closing price of $24 a share, Cooley’s stock is valued at $11.5m. The float of 200 million shares on Thursday gave SNAP an overall valuation of $28bn. Tech-focused firms in the Silicon Valley market like Wilson Sonsini Goodrich & Rosati and Cooley have been known for taking equity in deference of fees in fast growth start-ups. Snap was founded in 2011 by chief executive Evan Spiegel, who developed the picture messaging app Snapchat. Cooley advised Snap on the IPO, while Boston firm Goodwin Procter won the mandate to advise the underwriters. Cooley corporate and securities partner Eric Jensen led the advice for Snap. Cooley global co-head of capital markets David Peinsipp and partner Seth Gottlieb also advised on the deal. Goodwin’s team was led by partners Richard Kline, An-Yen Hu and Anthony McCusker. Snap’s San Francisco in-house team was led by general counsel Chris Handman and associate general counsel Atul Porwal. Handman, who was previously a litigation partner at Hogan Lovells until 2014, was revealed to receive $475,000 as his 2016 base salary in the IPO documents. Snap also uses US law firm Munger, Tolles & Olson for legal advice, where Evan Spiegel’s father, John Spiegel, is a partner, although not the company’s legal adviser. The tech company paid Munger $305,000 in 2014, $50,000 in 2015 and $294,000 in 2016 respectively. The float represents the biggest tech IPO since Chinese ecommerce giant Alibaba, which raised $25bn in 2014. While legal fees have not yet been revealed for Snap, Alibaba’s IPO netted advisers Simpson Thacher & Bartlett and Sullivan & Cromwell $15.8m.